I thought we would ease into the week with some casual looks with denim. As I've mentioned earlier, the 70s are a big deal this fall. Part of this trend is long leg flared denim. It creates a dynamite silhouette and you can find a pair that fits any budget. 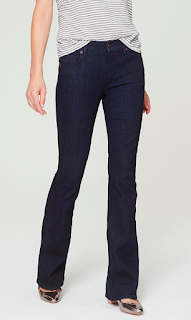 Gap makes a really solid jean and I love this simple yet sleek look. A lighter wash and a higher wash, very 70s. Also love her sweater. I love a dark wash with no fading or whispering. They create a long line and are easily dressed up or down. The name says it all. 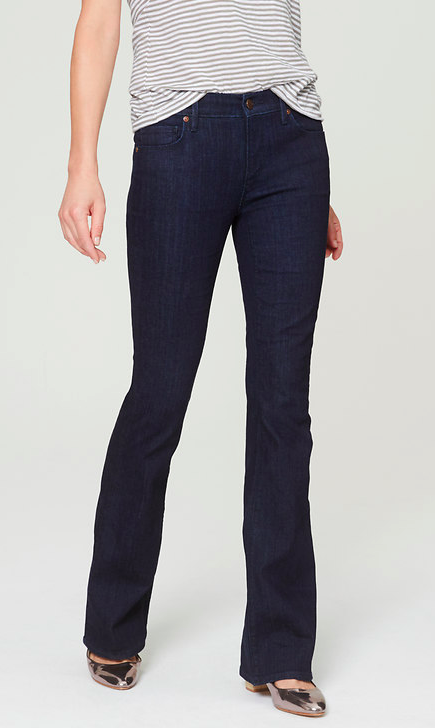 These jeans were made for the 70s and they are oh so fab with long sleeve floral, drapey sweater, or simple tee. 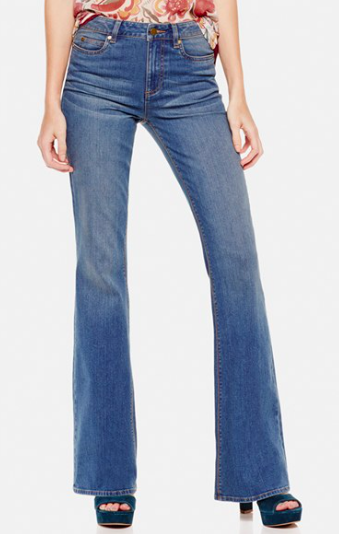 Flared denim is not your middle school bell bottom. It is tailored, fitted, and ready for some heels. Preferably chunky or stacked heel for maximum impact.